With so many guitars in the classified ads, it is getting more difficult to sell guitars in the used market. 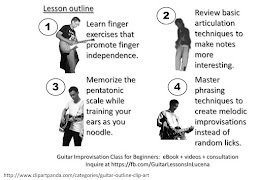 Here are a few tips to get you started should you decide to sell your guitar. Do you ever wonder why buy and sell sites require pictures of the items to be posted? This is because prospective buyers want to see what they are buying. This is especially true if the item will be shipped. Posting pictures grabbed from the Internet will not win the trust of the buyer. There is a reason why advertisers hire attractive models to endorse their products. A good picture will make buyers stop and look at the details, while a bad picture will make them move on to the next seller. Before taking pictures, make sure that your guitar is polished and clean. That will make them look good in pictures. However, do not polish the hardware on vintage guitars to retain its patina. It takes years to get them back. Have pictures with the sun shining on your guitar. Guitars look better under natural light. Taking pictures in shaded areas will result in dull-looking guitars. Using flash photography may result in lost details. Take clear pictures of all areas of the guitar. Post front and back pictures of the body as well as the headstock. 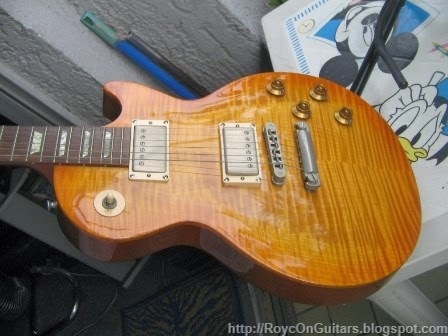 It is not enough to put the guitar model and assume that the buyer will search for the details. Not all buyers are good at google, and not everyone has the patience to do it. Do the research. Post demos only if you can make a good one, otherwise, posting links of similar guitars may be a better idea. Be honest and tell the known issues to your prospective buyers. Include pictures of affected areas. Just tell the issue as it is. Sometimes, what you believe to be a major issue may be minor to someone else. Do your homework. Before posting your guitar, check the classified ads for similar guitar models and take note of their selling prices. Your price should be similar or lower. However, the final selling price will depend on how much and how soon you need to sell the guitar. Prices can vary geographically. Three similar guitars being offered in one location can be offered at a higher price on another location if no one else is selling a similar model. The rules of supply and demand always apply. Upgrades are subjective. They only add value to the guitar if the buyer likes your replacement parts. Buyers will not pay extra for upgrade parts that they do not like. If you still have the stock parts, put them back and sell the upgrades separately for better gain. If you already sold the stock parts, you have recovered part of the upgrade cost; therefore do not add its full cost to the guitar you are selling. Change those one-year old strings. Old strings can sound dead and may turn off the buyer. New strings have that magical ring that can enhance the tone of your guitar. Be a trusted seller. Honor reservations that you granted. If you do need to cancel the transaction, inform the buyer at least one day before the meeting date.